The small car market of India is booming like never before. 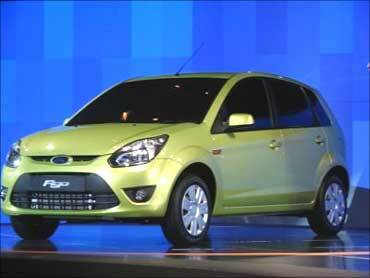 Ford launched its small car Figo on Tuesday. Introduced in the price range of Rs 350,000 to Rs 450,000, Figo was unveiled in the country in September 2009. Likely to be launched in 6 versions with both petrol and diesel options, Figo shares its technology with Fiesta. Ford launched petrol version of Figo with 1.2L engine offering 70 bhp-75 bhp power. The diesel variant will be equipped with 1.4L, Duratorq engine, offering maximum horsepower of 68bhp. Car lovers may see Nissan's compact car March in India soon. 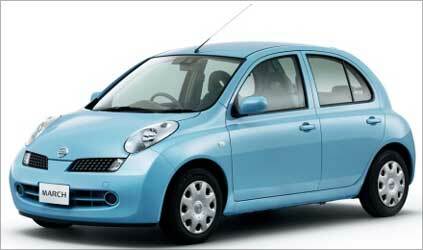 Known as Micra in several international markets, the car may be launched in the country in March 2010. The car is likely to have 80 per cent localisation. March is one of the nine cars that the auto maker Nissan is planning to launch in the fast growing auto market of India. It is likely to be priced around Rs 400,000-500,000. The car will be manufactured at the Chennai plant of Nissan-Renault. Nissan already sells X Trail, Teana and 370Z in India. After its launch, March will be competing with Hyundai Santo, Chevrolet Spark and Hyundai i10 in the Indian auto market. Looking at the booming luxury car market of India, Mitsubishi is considering to launch its car Lancer Evolution X in India. The car will compete with other products in the luxury segment like Honda Accord, Toyota Camry, Volkswagen Passat, Nissan Teana and Audi A4. The car will be manufactured at Chennai facility of the company. 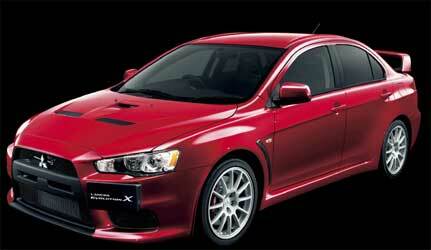 Lancer Evolution X is likely to be launched in the first half of 2010. The car will be equipped with several new features. It will have all-aluminum 2.0 liter turbocharged four-cylinder MIVEC4 motor producing 295 horsepower and 300 pound-feet of torque. 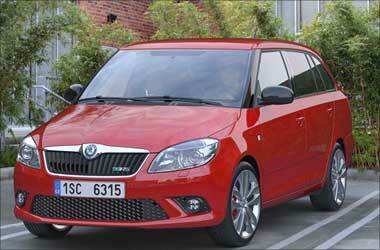 Auto maker Skoda is going to launch Fabia Combi in India in the later half of 2010. The car is expected to be priced in the range of Rs 700,000-900,000. The car will be equipped with a 1.6 litre 16V/77 kW engine. Fabia Combi is likely to compete with Ford Fusion, Tata Indigo Marina and Chevrolet Optra SRV. The car is expected to be popular with Indian car buyers due to its sleek designing. The car will have more space for luggage. The Japanese auto maker Nissan is likely to launch its crossover Murano in India soon. 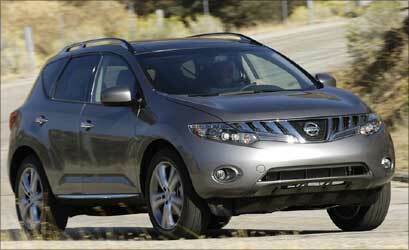 First launched in the United States in December 2002, Murano is equipped with quad-projector headlamps. The rear side features LED tail lamps. Its powerful 3.5litre V6 engine produces 245bhp. The car was named the best premium mid-size SUV by AutoPacific. It was also nominated for the North American Truck of the Year award for 2003. Murano has various features like climate control, mood lighting, memory seats, Bluetooth, push starter button, LCD screens for rear-seat passengers and 11-speaker Bose unit with a 9.3 GB hard-disk. The front wheel drive vehicle is also available with all wheel drive. Murano is named after a place near Venice, famous for its hand blown glass production. Fiat is going to launch its hatchback Bravo in the Indian auto market in the second half of 2010. Equipped with the high-performance 1.9 Ltr Multijet engine, the car delivers power of 150 bhp at 4000 rpm and maximum torque of 305 nm at 2000 rpm. The luxurious hatchback has elegant interiors. Bravo was first introduced at the Geneva Motor Show in 2007. The car is expected to be an expensive hatchback in the Indian market. 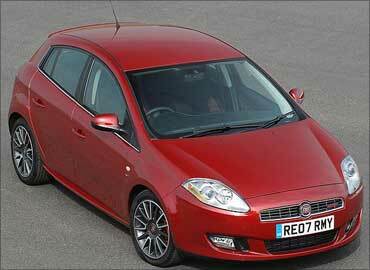 Its launch is expected to enhance the brand image of Fiat in India. Tata Motors showcased its utility vehicle Aria at the Auto Expo in New Delhi in January 2010. Aria, a crossover between a sports utility vehicle and a multi-utility vehicle, is likely to be launched in the second half of 2010. Aria is likely to be popular due to its designing and performance. It has three rows of theater style seating. The vehicle is equipped with various features like 3D surround sound, built in GPS, dimming roof lamps, a state-of-the-art infotainment system, multi functional steering wheel, air conditioning with automatic climate control and cruise control. 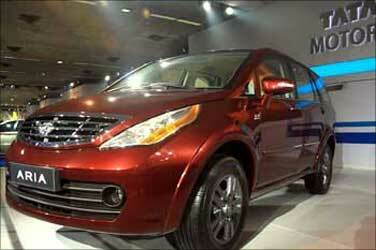 Tata Motors will offer high-end version of Aria with 6 airbags. Volkswagen Phaeton is likely to be launched in the first half of 2010. Built on the same platform as Audi A8, the sedan Phaeton is expected to be successful in India due to its design and use of cutting-edge technology. The car may be priced around Rs 75 lakh (Rs 7.5 million). Phaeton is equipped with many features like four-zone climate system, air compressor suspension system, standard 4-motion four wheel drive, ABS, anti-skid system, front and rear torso side airbags and head-protecting curtain side airbags. Yeti, the successful sports utility vehicle from Skoda is likely to be launched in India in the later half of the year 2010. The car will be available in both petrol and diesel versions in 1.6L to 2.0L petrol engines and 1.9-litre turbo-diesel engines. 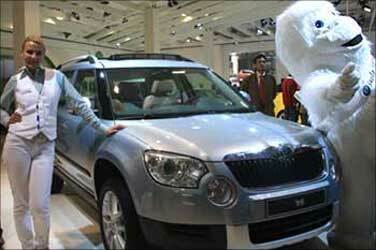 Yeti was first introduced by Skoda at the Geneva Motor Show in March 2009. Placed between Fabia and Octavia, the SUV will be 4.2 metre long and will have five doors. The car has stylish looks. Expected to be priced around Rs. 10-12 lakh (Rs 1-1.2 million), Yeti is likely to compete with other SUVs of the Indian market like Honda CR-V, Chevrolet Captiva, Mitsubishi Outlander, Mahindra Scorpio and Tata Safari.